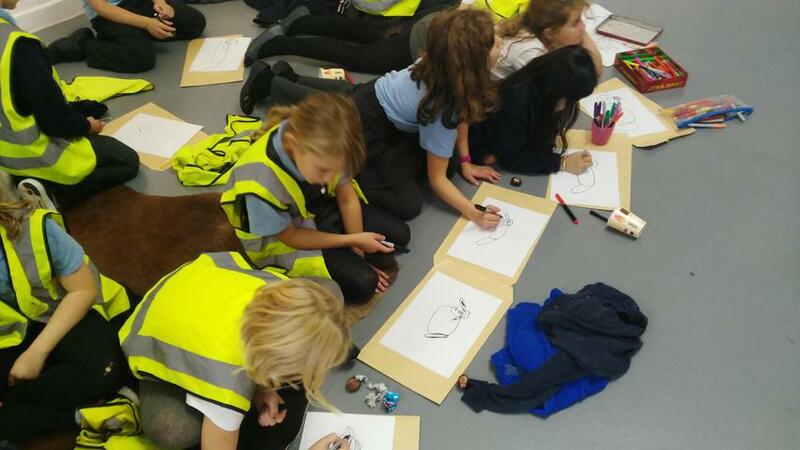 Fifteen lucky Year 4 pupils had a 'Shaun the Sheep' drawing masterclass with local illustrator, Sylvia Bennion earlier this week. 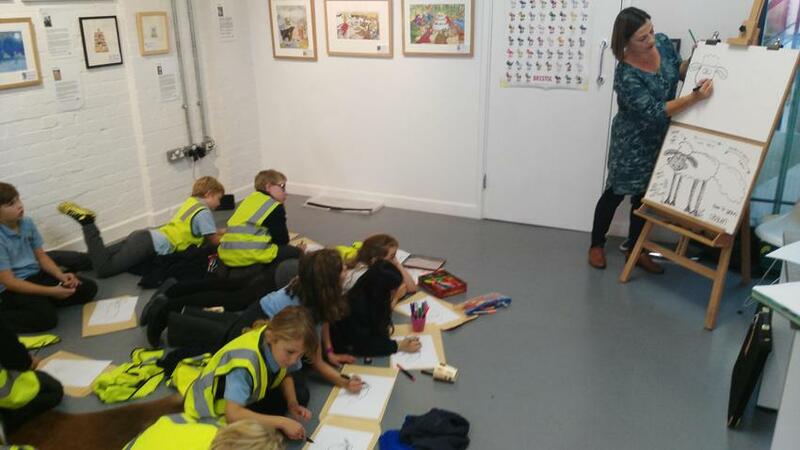 Gallery 22 in Stokes Croft is currently hosting a Children's Book Illustration Exhibition, with a number of workshops from visiting artists. 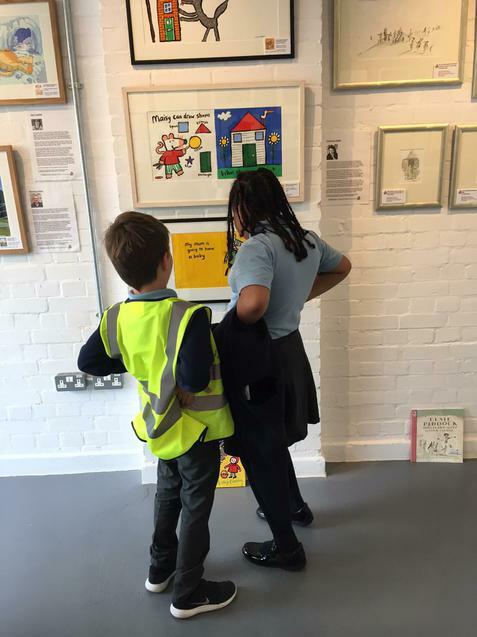 The children were happily engrossed in tales of Shaun and had the opportunity to explore some of the recognisable exhibits from illustrators Axel Sheffler (The Gruffalo), and Anthony Browne (Gorilla). 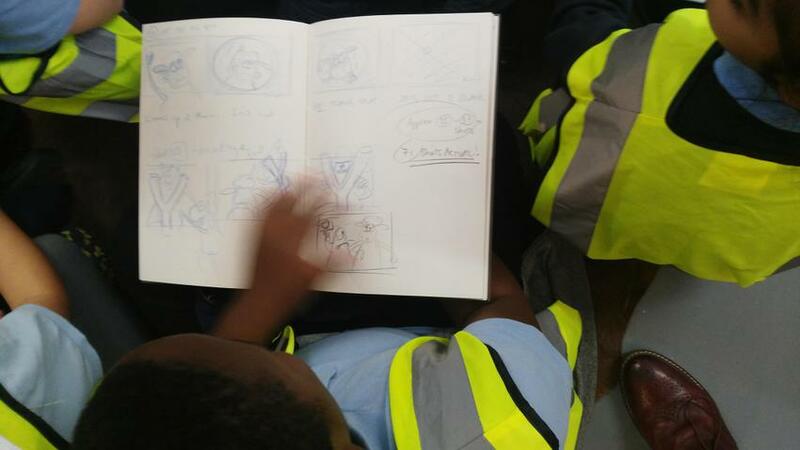 The workshop built on the work we did during mark-making fortnight and more illustration workshops are planned for other year 4 children over the next couple of weeks.